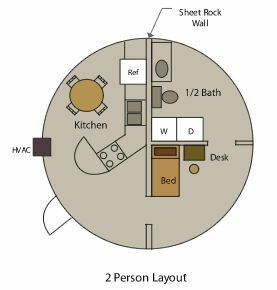 These prefab tiny dome homes are great because they're prefabricated so this means they can be put together quickly and easily once the parts are on site. All you need is the help of a good group of friends to put them together and it can be done in under 4 hours each. These structures are also extremely lightweight and thanks to their shape they're also very durable and resistent to nature. Rounded Structure Means More Durability? I think so! It only makes sense, right? 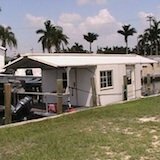 As long as the structure is built right it can certainly be more durable. Especially a dome shelter. There are no overhangs to catch wind, etc. Here's when it doesn't mean more durability though.. And that's when you attempt to build a wooden dome where there are so many challenging cuts and corners to fill. This creates a haven for future leaks and lots of maintenance. In this case though we're looking at a prefab dome that's definitely not made out of wood so we're good here. Clunked Together for Communities or Additions? 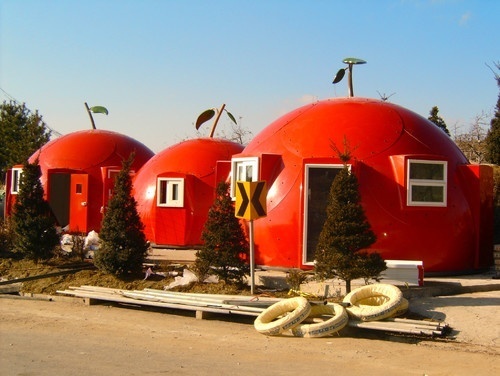 In the first photo on this page you can see how a group of these tiny domes were placed together so that you can create communities, rental cabins or additions to your home using more domes. Then you can interconnect them using decks or you can even spread them farther apart to create more privacy between structures if you have enough land for that. I think they're great and I appreciate round structures like this including traditional yurts and even wooden yurts that look more like cabins. 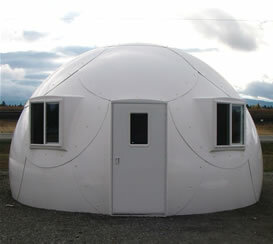 I never thought I'd like to live in a dome but they've always caught my eye because they're so unique. 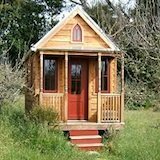 So I prefer stick-built homes and cabins by choice. Something like this probably costs around $15,000 and it can be put together pretty easily. 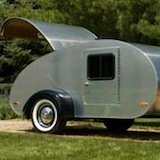 Get More Tiny House Related Updates in your Email! 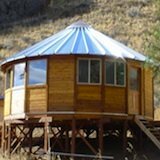 If you enjoyed this prefab dome house you'll love our free daily tiny house newsletter!